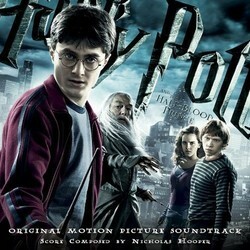 After scoring the Order of the Phoenix, Nicholas Hooper returned to score the Half Blood Prince. This is most likely due to David Yates returning. In my opinion, the soundtrack to Order of the Phoenix suffered mostly in part of it's contrast to the dark images Yate's had supplied for the film. The spritely sound just didn't fit at all, and the music was not very strong by itself (with a few good exceptions.) For Half Blood Prince, Hooper had to darken the tone of the score. For the first two tracks Hooper immediately opens with a beautiful choir which may very well be one of the highlights of the entire series. For the Hedwig Theme, it is used sparingly, mostly making small appearances. Alot of the music for the previous is dumped as well, with the exception of 'Fireworks', leaving some small motifs for characters. The use of darker material here serves as a benefit and a detriment to the score. Positively, it does keep the mood consistent and is effective. On album, however, it slows everything down and starts to drag after a while. Hooper's work in The Half Blood Prince is a massive improvement over Order of the Phoenix. The orchestrations and melodies are darker and the music is far more complex and emotional. That being said, the album does suffer from lack of themes or any truly interesting work outside the choral pieces.